So, we need to craft an input and send it in order to retrieve the flag. 1. Our input will be unserialized. 2. There is a Class called "B" with a __destruct() method. 3. 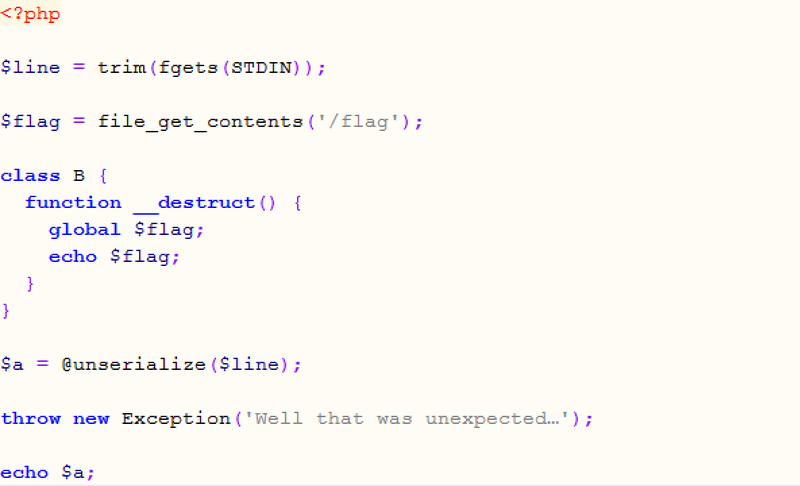 The __destruct() method will echo $flag. 4. 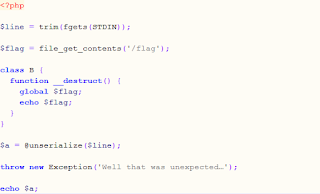 $flag contains the contents of the file called flag.